Proud sponsors of St. Leo’s Spring Fling & Mimico Party in the Park in June 2017! We have delightfully watched this event grow by leaps and bounds each year we’ve been a part of it, sponsoring the biggest bouncy castle of the event for a fourth year in a row! But we wanted to do more than just pay for the bouncy castle, we wanted to be there to thank our clients and the community in person. 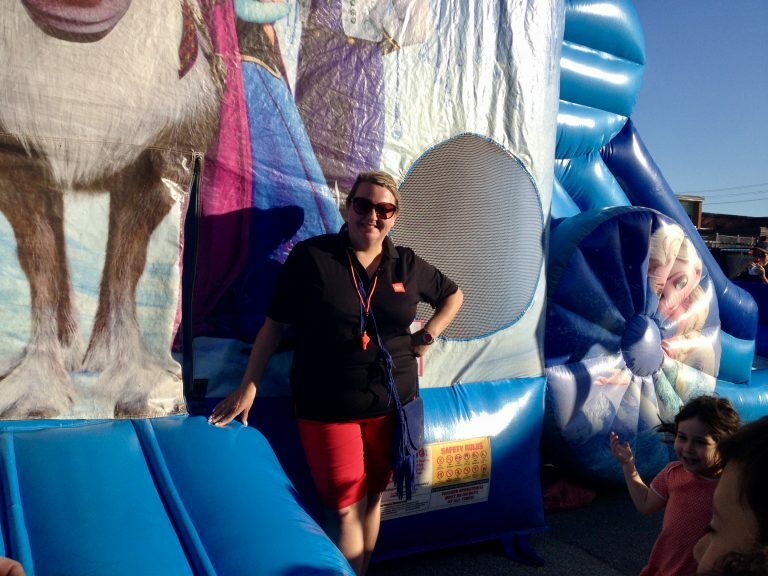 So each year, we attend and actually help run the bouncy castle! You can find us each year with our Sutton Group shirts on and our Open House signs lined up to form the area where kids can line up. We queue up all the little kids that want to go, blow the whistle to start and stop the 2 minutes of bouncy fun, hold hats/candy/sunglasses/necklaces for the kids go on the castle, and generally make sure everyone has a funtastic and safe time. We get to say hello to our clients, meet more residents of Mimico, and see how much some of our clients’ children have grown from year to year. It is truly a wonderful time plus the proceeds from the event go to help supplement educational and social activities at the school for children who attend. So, thank you St. Leo’s, for allowing us to be a part of this great event for the last four years. The Homes4Toronto team from Sutton Group Old Mill Realty Inc., Brokerage will definitely be back for year five in 2018 with our sponsorship cheque and whistles ready! This was our first year helping to sponsor this event and it was wonderful! 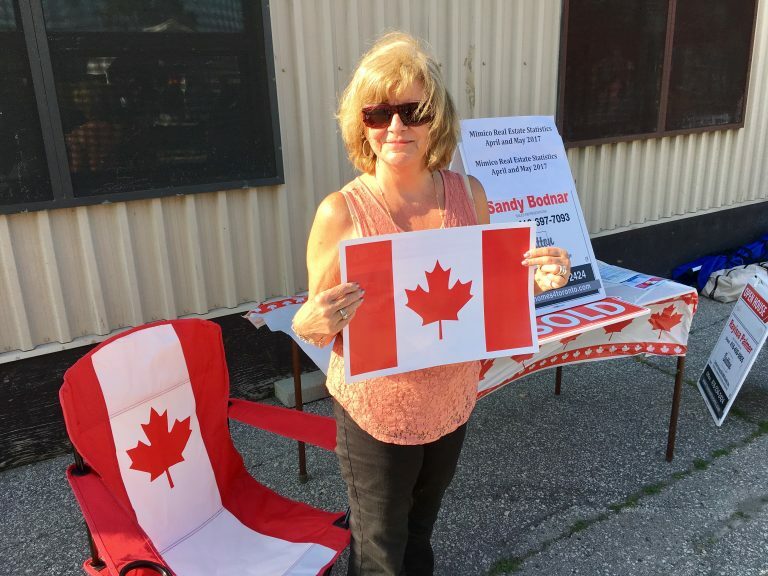 Part of the Mimico Residents Association, the goal of the event was to raise $5000 to help support various efforts within the community of Mimico. Local business were highly encouraged to sponsor a table and provide giveaways/information to the 2,500+ who attended from the neighborhood. While we couldn’t give away houses for free, we did give out a newsletter specifically created for the event that outlined Mimico Spring 2017 Real Estate Market Impressions plus Mimico Housing Sales for the months of April and May by type of house. And we met A LOT of Mimico residents who were very interested to hear where the housing market was going this summer and into fall of 2017. We are delighted to have been asked to support this event and we look forward to supporting in 2018! Why Mimico? For a few reasons. First, Mimico is a community where many of our clients either currently live, have either lived or want to live in. There are a variety of housing options from brand new luxury condoswith amazing views on the lake to spacious older condos with lots of space for someone who’s downsizing for less hassle but still wants the breathing room of a house. And in the housing market of Mimico there is something for everyone – multi-million dollar estates on the lake with boat docks and places for canoes and kayaks. Or affordable townhouses and semi-detached homes for a first-time home buyer. And wonderfully charming bungalows, 1.5 storey homes, and two-storey homes with front yard sidewalks, beautifully matured lots with trees, and a great community feel. 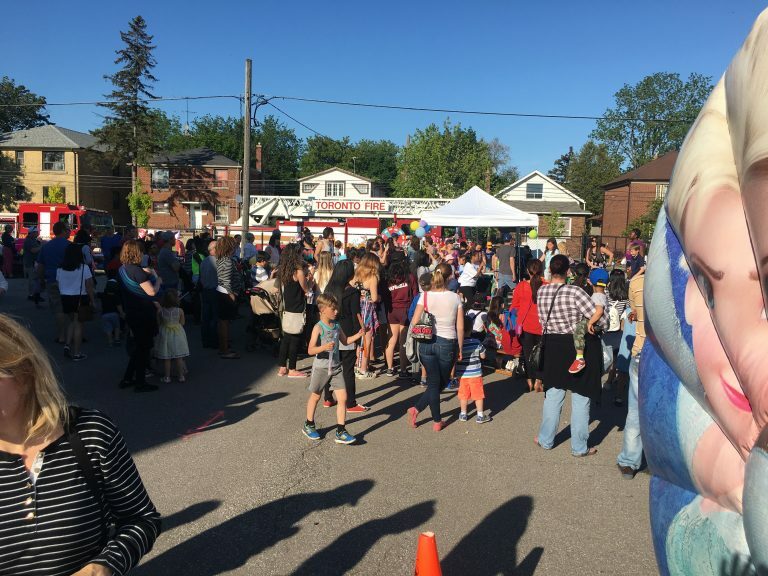 The surrounding communities of New Toronto and Long Branch also share in the equally lovely landscape and indeed, participate in a lot of Mimico events. With these communities there is lawn bowling, a community pool and tennis, Lakeshore Santa Claus Parade, great libraries and so much more. It’s a microcosm of the best the GTA has to offer and even Canada, with many residents of the Mimico area just a short walk to the lake and its many trails. We love Mimico, we know the market here inside and out, and we support the community. We are proud of our commitment to this community and look forward to years to come!